You don't get an awful lot of indiepop from the US. At least you don't get a lot of decent indiepop. America is better at giving us 'serious' acts and it's probably why a lot of British bands struggle across the pond. Our bands have a tendency for self-deprecation and a sense of humour that can easily translate as being disposable. American acts meanwhile can seem a bit pretentious over here and British acts who take themselves as seriously as their counterparts over the pond are quickly shot down. So why mention this. 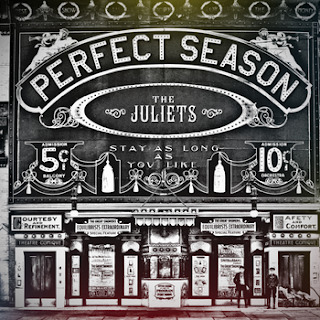 Well, The Juliets hail from Detroit and yet have moments on new album A Perfect Season that can only really be described sonically as indiepop tunes. But ones with a hefty classical influence. 'Chamber Pop' is no doubt how it's described elsewhere, but we're going to think of them as the American My Life Story. Only taking themselves a little more seriously. It opens really well with 'The Loon' which through having an electric guitar at the front of the mix concentrates the attention of the song as opposed to the production. The additional layers add to the cinematic quality and it sums up all of what makes The Juliets an intriguing proposition. It is by a long way however the best song on A Perfect Season, if not the only highlight. 'Heart In Heart' recalls the arrangements of The Beach Boys whilst 'Hey Stars' and 'It's Simple' are epic and uplifting. 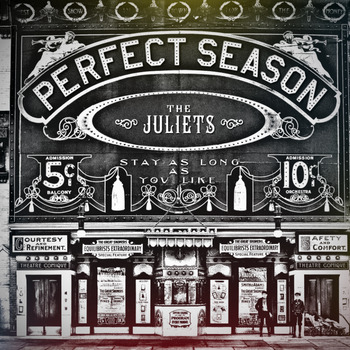 Instrumental classical piece 'The Lost Memory' is also worth a listen as a complete counterpoint to The Juliet's song-focused achievements. Here's the issue however. Unlike British bands who might have a similar sonic template (Belle & Sebastian for example) The Juliets seem a bit oblivious to the absurdity of it all. They know their talents but in being keen to highlight them can sometimes become a bit single paced and over serious. The title track is arguably the epitome of this on the record and whilst cinematic it lets the layers overtake the song and ends up a little bit too close to the middle of the road. That's not to say it's fatally flawed however, what they sometimes lack in spontaneity they make up for in sheer scope. Cinematic is the key word, and if you like your pop to contain lots of intricate and tinkling piano parts and orchestral flourishes The Juliets will definitely appeal. It's easy to see the big break coming for the band when they inevitably get picked up Temper Trap style for a film soundtrack, and like the Aussies it'll be hard to begrudge their success when it comes. This is good and it's pretty, but whether you'd take it over My First Tooth is another matter. Well, it's been a while since I posted at any length about what Keep Pop Loud Records is up to right now. So sorry if it seems like things are a bit quiet. Thankfully there's quite a bit of great news that you may well have seen if you're following either the Twitter or Facebook feeds. There's also plans afoot for the next stage in KPL Records existence... but I can't tell you about that just yet. Firstly the Keep Pop Loud CD is selling pretty well (so if you've not got your copy yet then you might want to now) and has recieved a pretty big boost by getting reviewed in the current (Nov 2011) issue of Artrocker Magazine. As well as sitting in between the reviews of the latest Coldplay and Florence + The Machine releases they only went and gave the CD 5 STARS! That's full marks. Obviously I knew it was that good - as do those of you who've already got your copies - but the fact that such a major publication thinks that we're heading in the right direction has been a massive morale boost. The other big piece of Keep Pop Loud Records news that you might have missed is the interview that I did with Katie from Better Weather in Britain. As a fellow Sheffield citizen it was really great to meet with Katie and discuss all kinds of pop stuff. The interview is available to listen to at that aforementioned link with the show being a special dedicated to all things KPL. You can hear some of the tunes from the CD and get to listen to me talk about the inspiration behind what we're doing. So listen to it now and follow Better Weather on Facebook to keep abreast of what's going to be featured in future shows. GREAT STUFF! As well as Better Weather in Britain on Tranquilizer Records Radio Katie is also responsible for putting on ace pop shows in Sheffield. And coming up at Christmas is something rather special which all Keep Pop Loud fans and friends should come to. The 5 Bands of Christmas will be at West Street Live on December 20th and is headlined by none other than Keep Pop Loud CD stars Bordeauxxx. This is sure to be a FAB night and as it's free entry there's no excuse! Travel from far and wide and we'll drink to a poptastic year! Oh, also if you check out this interviews tag you can get an insight into some of the bands on the CD. There's chats with Bordeuxxx, The Half Rabbits, Pris and Aug Stone from H Bird. There's a lot of love for Standard Fare at KPL Towers, nearly as much as there is at Hibbett HQ ("THIS is a band with LOADS of TUNES"). But this shouldn't come as a surprise, Standard Fare are a proper modern indiepop band with excellent musical chops, and that's enough in itself to make me wrap my ears around any new material with excitement. But the fact that the song debuted this week has a big old Star Wars reference... well you couldn't keep me away. But don't worry, it's not actually about Star Wars ('Darth Vader', as a title, makes sense in terms of the excellent opening lyrics) and musically it's a noticeable evolution from their debut album. Slower and more confident in itself. The three piece sound is bolstered by the additional instrumentation (violin and trumpet) that's supplied by members of One Happy Island and Nat Johnson & The Figureahds and brings the sound towards Los Campesinos! territory. Out Of Sight, Out Of Town the forthcoming second album on which 'Darth Vader' is to feature is out on Melodic Records on December 12th. With the band now working with a label based outside their home city (The Noyelle Beat came out on ACE Sheffield label Thee SPC) it's hopeful that some more recognition should come their way. Although sadly with their album coming out this late in the year it seems destined to be missed off many End of Year lists (The Fly have already compiled theirs it seems). But with Standard Fare, Los Camp! and Johnny Foreigner still to come it seems 2011 has saved the best for last. How one thing leads to another. I can't feature a band on Keep Pop Loud without hearing from another, and although I do try and listen to as many as I can it's inevitable that some slip through the net. My Pet Monster stand out however, having got in touch following on from the Joanna Gruesome EP review. 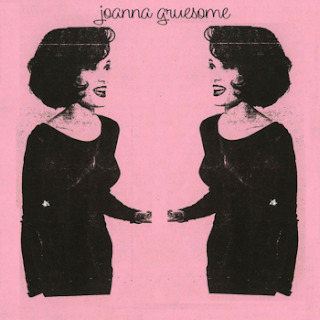 Although they sound little alike; both My Pet Monster and Joanna Gruesome hail from Cardiff, have self-released these EPs on Bandcamp and, broadly-speaking, fit into the lo-fi category. Whereas JG specialise in a more traditional indiepop MPM are much closer to what you'd think of as a 'noise pop' act with their listed influences reflecting as such (Sonic Youth, No Age, Times New Viking etc). But it's not all noise; their ear for a hook and willingness to deploy is demonstrative of a healthy influence from The Cribs. 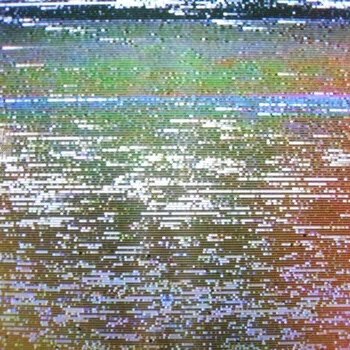 Track One on the free download opens with a sound that's akin to the artowrk. A cross between static and distant roaring waves, it paves the way for some slacker, Copy Haho-esque guitar work. Titled 'TheDanielWall' it's covered in a No Age fuzz with vocals that have the same American ring as Yuck. At over four minutes, 'TheDanielWall' is arguably a little overlong, but doesn't drag – after all this is only the band's first number. With 'Radio' and 'Soundtracks' largely delivering the same kicked back distorted pop noise – solidly, but without too much surprise – it's closer 'Whatdafugbug' that deals the real puch, being by far the best song on Soundtracks. A bit slacker, a bit rock and roll and all fuzzy it opens with a sample and kicks straight into gear. A Cribs-meets-Strokes riff adds to the feel of abandon and the quicker pace means ensures that it's exactly the sort of song that you can feel yourself singing along to loudly at a gig. Good stuff in other words. Yes, there's a lot of clear reference points at this early stage in the life of the band. It's easy to draw a direct line to their influences and given the time and chance it's something they may transcend. However, as their influences are impeccable and well combined it's churlish to slate them based on this. My Pet Monster have songs – good ones – and for now that's more than enough. Things are looking so good from Los Campesinos! right now. Even those of us feeling a little peeved that Heat Rash isn't quite as quarterly as promised (10 months in and only one issue) are expecting the fourth album from the Cardiff gang to be one of the best albums of 2011. Gareth's promised that it'll be more direct than previously, and the first video that appeared seemed to confirm this (watch the excellent 'By Your Hand' here). But initial album tasters can be misleading. So the unveiling of song number two, and title track from the record was a bit of a big moment in KPL Towers. And, as you've heard by now - IT'S GREAT! Expectation for the album really could not be any higher, especially following their career thus far. Devasatingly undervalued by the major British printed music press, Los Campesinos! have exceeded expectations at each turn. That handful of decent demos evolved into an excellent debut, that was soon kicked into shape by second release We Are Beautiful, We Are Doomed. Last year's Romance Is Boring basically has claim to being the indiepop album of it's generation. Now Hello Sadness promises to at least meet it. Chuffing hell! Talk about it being a great time for pop music. It's both odd and completely appropriate that The Dancers have just finished a tour with The Subways. Where their sounds are completely different there's some core similarities. Both are trios of two boys and a girl and both are brimming with the youthful exuberance that makes music as fun to listen to as it sounds like it was to make. There's something to recommend every song. 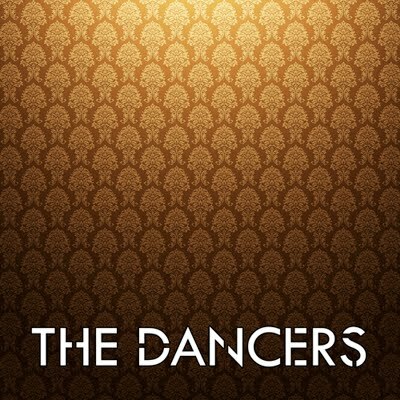 Each has a disjunctive flavour that gives away this EP's intention – showing the world what The Dancers have to offer. Opener 'Eyes Closed' is all jerky guitars and disco grooves that's covered in boy-girl vocals. If Alphabeat's second album had got anywhere close to this then they'd be the best pop act in the world right now, no question. 'Running' on the other hand is more of a post-punky number with a throbbing bass riff underpinned by glistening keyboards and a chorus that YCHISMB-era Franz Ferdinand would arch an eyebrow in appreciation of. Elsewhere they prove that they can add more traditional indiepop elements - jangly guitars, handclaps, chorus that you know every word to by the second play - to their template (see 'Dancing Game') or keep it really simple – 'Lights' in it's rhythm and structure recalls 'Raoul' by The Automatic and 'Not A Wanker' is a sweary gem that would have been a Top 40 hit in the mid-00s. In all it's hard to pick a favourite. I said there's different flavours and you really do feel like a child in a sweet shop. If pushed I might well go for 'Dirty Evening', a song where they keyboards are allowed to dominate and usher in a 'driving at night' feel. There's some lovely adolescent yearning and nostalgic glamour that twinkles like light from a mirrorball. Lovely. So many references then, but that's what happens when you sit and pick apart something that's as instantaneous as this. It recalls all the good time that you've had with fun music. This is easily accessible and mighty fun. Given the chance these three could get really big.... So are they the band you've been looking for then..? Fans of Johnny Foreigner rejoice. Bonjour are a band from Philadeplia that sound a little bit like our Brummie heroes, with a little bit of those other pop scamps Mazes thrown in for good measure. What's not to like? 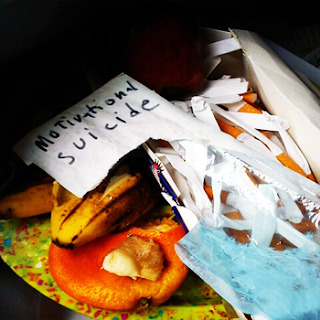 Their downloadable EP Motivational Sucicide is available now, and an excellent demonstration of how 'fight-pop' has translated rather well over to the other side of the pond. 'I Tried It I Liked It' may open with a brief moment of Arcade Fire like epic, but this is merely misinformation as guitars and straining vocals come a-crashing in. The song itself is a crashing of guitars and drums that could instrumentally pass for JoFo's more straightforward earlier moments. There's multiple vocal parts that overlap and threaten to confuse each other and the general air of a band that are at once tight and threatening to fall apart. All of which are things that I'm pretty sure I've said about JoFo before. And I'm sorry to keep making the same comparisons, but take a listen to the above embed and tell me I'm wrong. It'd be easy to read JoFo as an influence on these guys, as would it to draw links to Hot Club de Paris (see the zinging guitar lines that spiral all over each other on 'Football Hero') and The Blood Brothers (the yelped vocals over the more aggressively punk 'Trenton Makes The World Baked'), but in all likelihood it's that we're living in a realm of ever decreasing circles where lots of bands are drawing from fairly similar influences. Either way, Motivational Suicide is certainly worth your time if any of the above comparisons take your fancy. After all, the EP is barely over 10 minutes long and in that time traverses all of the above as well as the slacker punk of 'Many Things Are Destroying Me'. With more of a jangle and a looser grip on the reigns it's bit freer in itself and with the emo leaning vocal the potential to bring in a different audience - all the while packing a kick. Since the re-vamp and indiepop focus Keep Pop Loud has been unforgivably neglectful of music from outside of the borders of the UK. Great if you're an Anglophile, but not so fantastic if you've an international appreciation of The Pop. Specialising in the swooning 'dreampop' variety of indiepop is Asobi Seksu, who I have to admit have passed completely under my radar until this past week. With five albums under their belt there's no justifiable reason why this should be so, as by all accounts they've very much the sort of thing KPL is here to champion. Dense swirly shoegaze pop that pre-dates Ringo Deathstarr by far and takes influence from legends such as Galaxie 500. Strange then that the two piece from New York had to cover The Walkmen to grab my attention. As with all great covers, this version of 'Little House Of Savages' puts a fresh mark over the song, whilst retaining it's spirit. 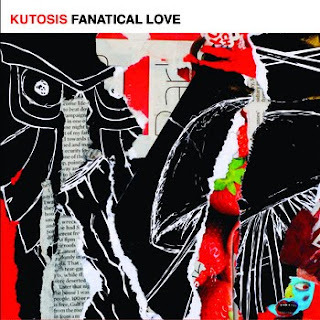 It's distinctly Asobi Seksu and guarantees that you'll not hear the original in quite the same way again. The revving guitars echo those of the original, whilst Yuki Chikudate's vocals float over maelstrom of sound. The moments where the drums don't come back in to meet the bass are truly terrific, in a floor-dropping-out way. And the minute from the uplift to the crackling climax is amongst the best of the year. You can download 'Little House Of Savages' from RCRD LBL for free. And you should. If (like it has with me) you find that it piqued yr interest in Asobi Seksu you can find out what you need at their website. Let me start by talking about The Killers. You remember them right? They came out of nowhere with a barnstorming album in Hot Fuss, full of chart-slaying singles, and then went a bit... well... off. It was clear that they wanted a new sound, which worked for some singles, but generally destroyed what had gone before. This reviewer even walked out of their headline Leeds Festival set around the release of Day & Age as they'd lost the dancing, arms-in-the-air side of their performance that had drawn many in before (although Hot Club De Paris and Young Knives were on another stage)! So why mention The Killers at this junction? This is a Clap Your Hands Say Yeah review after all. Well, several years after The Killers experimented with a change in sound, CYHSY have actually followed them down the route of that same sound, but here the results actually work. Comparisons will always exist, as if you squint your ears on Hysterical's longest track, 'Adam's Plane', or on 'Siesta (For Snake)' you may even think you're listening to Mr. Flowers. That illusion soon disappears when other tracks follow. Despite this, to pin this album down to one sound actually does it a disservice. Hysterical marks a step change for a band who's first record was undoubtedly “indie”, whilst their second felt like they were trying to be deliberately obtuse at times and certainly not mainstream. 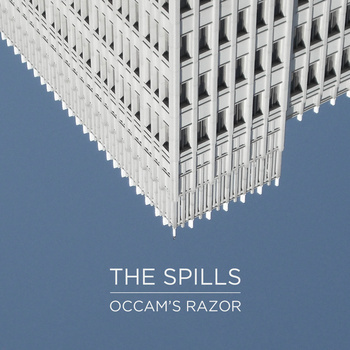 This third record, ambitious at 55 minutes, actually broadens, refines and cleans up their sound. Songs still feel distinctly CYHSY due to Alec's vocals (more on that later), but of their three, it feels like this record has had the most care in its composition. The contribution of strings and piano, in particular, at times feel so beautiful that the music to these songs would happily stand alone of the vocals as an enthralling instrumental. And this of course is where most people's love affair with CYHSY would immediately come to an abrupt stop, the vocals. To my ears the voice of Alec Ounsworth actually perfectly complements the music, particularly on tracks like 'Hysterical' and 'Ketamine And Ecstasy', but to others his voice will sound whiny or moany. It is fair that his vocal style is the reason that so few lyrics are referenced in this review, as they can often be indecipherable, but personally that is not a reason to avoid this excellent and wide ranging album. 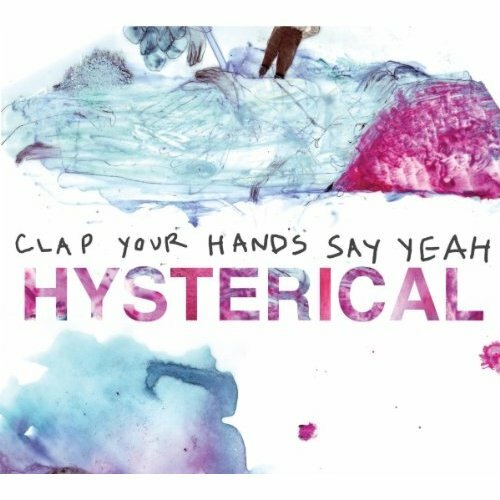 Hysterical offers something that few other albums do, in that every song feels like it has its place. Strangely, despite its length, this record doesn't feel long, with the evolution of the sound as the record progresses being the likely cause of this. From the really “big” opening tracks of 'Same Mistake' and 'Hysterical' to quieter numbers like 'In A Motel', there is certainly no room for filler. A good example of this is 'Maniac', which sounded rather ordinary as a free-download release in advance, but between 'Misspent Youth' and 'Into Your Alien Arms' it's place is clear. I've not tried it myself, but I'm certain this LP would sound at its best through the largest speakers possible to truly appreciate the breadth of the audio. Many will say that they don't like CYHSY in much the same way as Marmite, however if you think you know Clap Your Hands Say Yeah, I can certainly say that with the release of Hysterical that it's worth not jumping to conclusions. In short, buy this record and give them a second (or possibly third) chance. Like the Ramones, Two Wounded Birds (and singer Johnny Danger in particular) are informed by an in depth knowledge of the history of pop music. This results in a single that's instantly memorable, youthful and fun. It makes you want to jump in piles of Autumn leaves or swagger around with a bass guitar. Along with The History Of Apple Pie, Two Wounded Birds are the band most likely to take our version of indiepop towards the alternative mainstream. This may well mean that in six months time over-NME-exposure will mean that we don't give a hoot about the Birds. But right now this is GREAT! 'Together Forever' is out on Moshi Moshi Records soon.